“I’ve known and worked with Danny for 10yrs now. Players are drawn to him because of his calm and trustworthy demeanour. He has an incredible way of reaching each individual person exactly where their needs warrant. Danny seamlessly blends traditional physio methods with progressive thinking. Tim began work with Daniel when he started playing with Everton FC and enjoyed working together until his return to the US. Tim (born March 6, 1979) is an American footballer who plays as a goalkeeper for American club Colorado Rapids and the US National team. His appearances soon attracted the attention of Man United, who signed him in 2003. He enjoyed relative success with them as they won the Community Shield, the FA Cup and the League Cup. Howard went out on loan to Everton to play more first-team soccer and eventually signed permanently with them in February 2007. On January 4, 2012, Howard scored a goal, his first as a professional, against Bolton. This made him only the fourth goalkeeper to score a goal in a Premier league match. In 2016 Howard signed to play for the Colorado Rapids, and will transition to the American club after international duty. 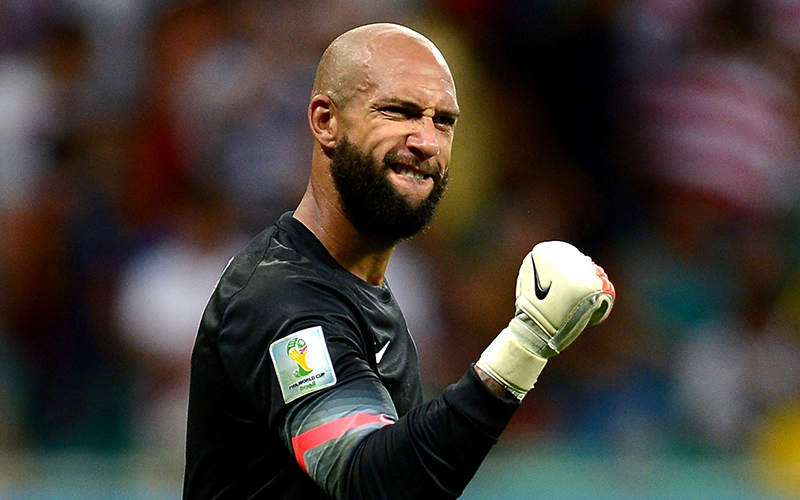 Howard is the most capped goalkeeper of all-time for the US men’s national team, with over 100 caps since his debut in 2002. He was an unused substitute for the but later established himself as first-choice and started all of the United States’ games at the 2010 and 2014 World Cups. The team reached the last 16 on both occasions, and during the latter Howard set a record for most saves in a match with 16. Howard’s book, The Keeper, published in 2014, describes his career and his life with Tourettes and obsessive compulsive disorder (OCD).